Craig Burley refuses to name Barcelona Champions League favourites after their big win over Lyon, due to their defensive inconsistency. BARCELONA, Spain -- Ernesto Valverde has taken responsibility for the decision to risk Ousmane Dembele's hamstring in Barcelona's 5-1 Champions League win against Lyon in midweek. Dembele strained his hamstring against Rayo Vallecano last weekend but came on as a second-half substitute against the French side despite not having fully recovered. He aggravated the injury during his 25-minute appearance and will now be out for up to a month. 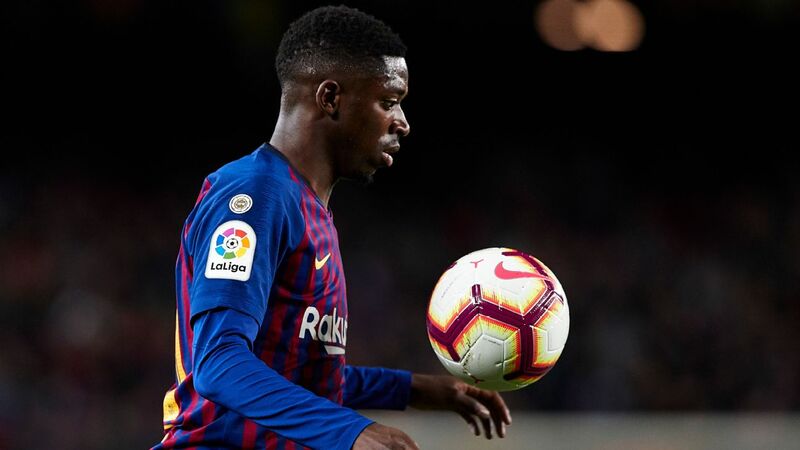 Barca coach Valverde said he doesn't regret the decision to risk Dembele and added that the moment -- the La Liga side were 2-1 up at the time -- and the importance of the game meant it was a risk which had to be taken. "Dembele ended [training] the day before the game against Lyon still in pain," Valverde explained in a news conference ahead of Sunday's league game against Real Betis. "But as it was a vital game, I included him on the squad. 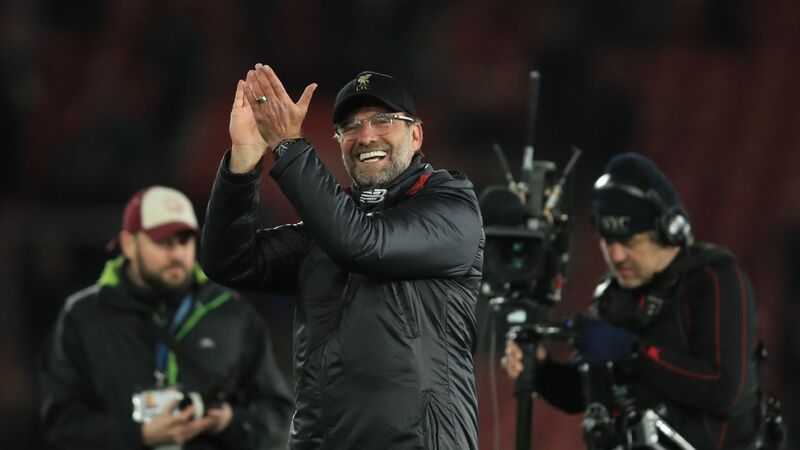 With the way the match was going, it was the right moment [at 2-1] to take a risk, which we did, and now he will be out for three or four weeks. "Dembele felt really good, though. We knew he had a small problem but he thought he would even be OK to start. I thought not but, in the end, I brought him on. If things had gone differently, he would be in the squad this weekend and maybe he would get injured then. "I knew the risk we were taking with him. The medical team do their work and the players do theirs but it's me that makes the decisions and it was a big game." Dembele's absence is likely to pave the way for Philippe Coutinho to win his place back in Barca's side. The club's record signing has admitted he's not been playing well recently but scored against Lyon after a chat with Valverde prior to the game about where things were going wrong. Ousmane Dembele will miss a month for Barcelona after aggravating an injury against Lyon. 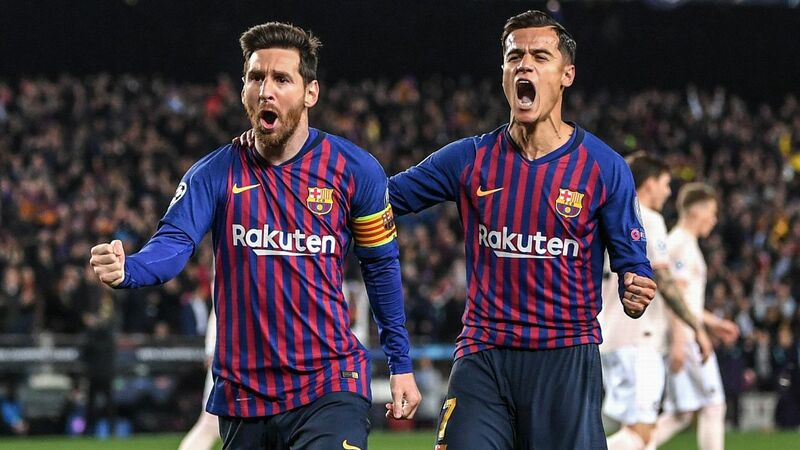 "We spoke [before the Lyon game] to look over what he was doing well and where we could help him improve," said Valverde when asked to reveal the details of his talk with Coutinho. "But the conversation will remain private. 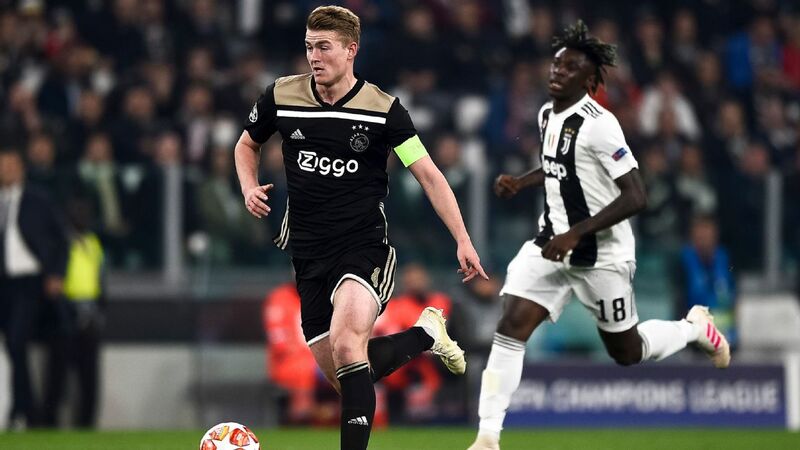 He played really well against Lyon and we expect a lot from him regardless of whether Dembele's injured or not." 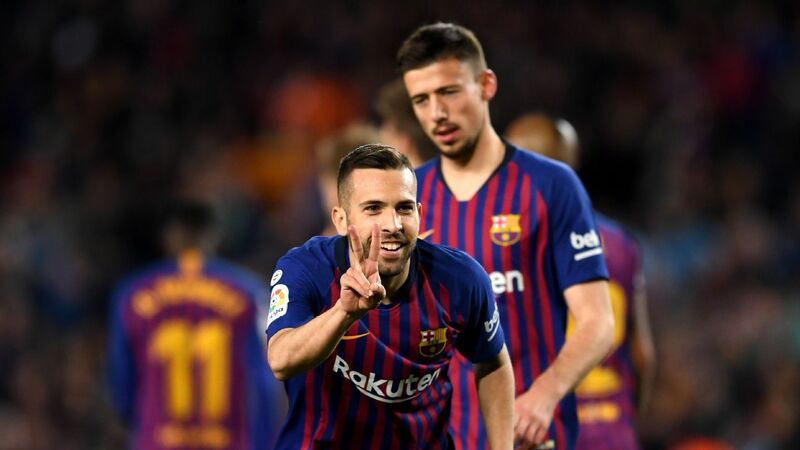 Barca, who begin the weekend seven points clear at the top of the table, play Real Betis in the league on Sunday before games against Espanyol, Villarreal and second-placed Atletico. 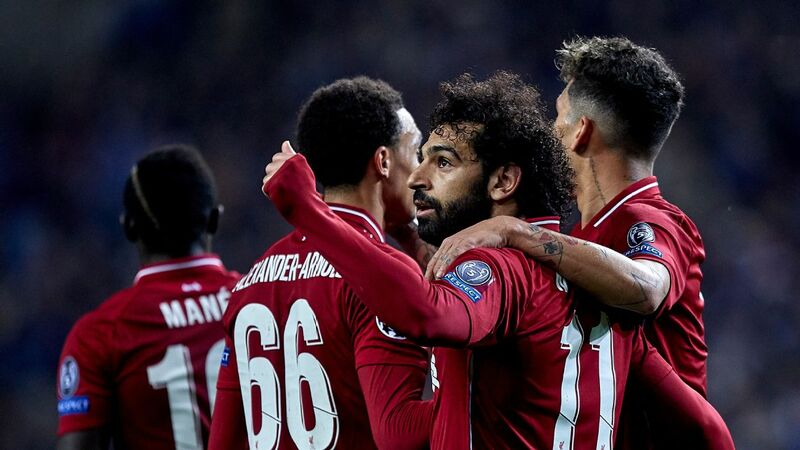 They will then travel to England for their Champions League quarterfinal first leg against Manchester United following Friday's draw for the last eight. "The tie against United is really difficult," Valverde added. "They're a side with a lot history, they're in good form and it will be an even and open tie. We're not favourites. We have to be careful because they never give up. "They came back against Paris Saint-Germain. It will be an attractive tie for the public." 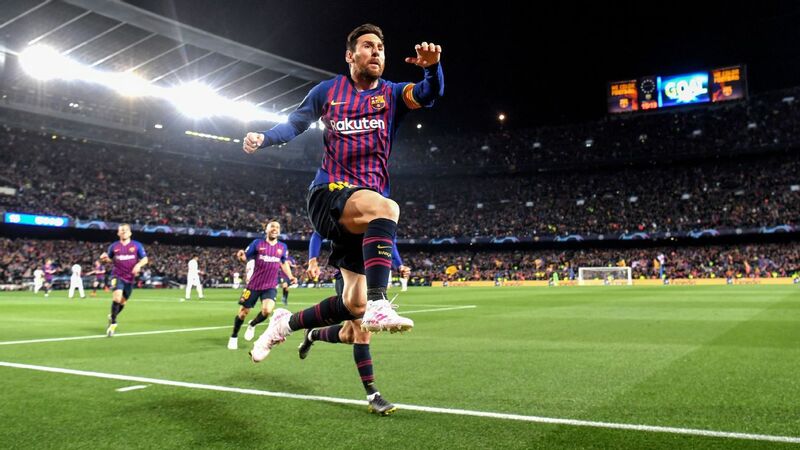 Barca will have the advantage of playing the second leg at Camp Nou after the order of the games was reversed because United and Manchester City cannot play at home in the same week. 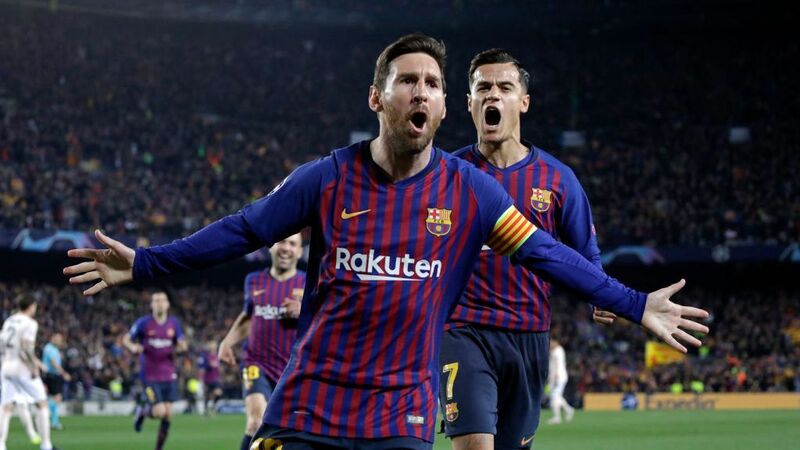 "I don't think the factor of playing home or away is as decisive as it was before," Valverde said when asked how much of a benefit it was to be at home second. "In the last eight there are four teams that finished second in their group, so played the second legs in the last round away."